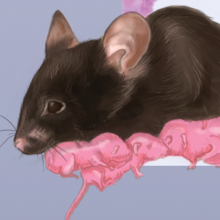 A mouse's exposure to certain environmental chemicals can lead the animal—and its offspring and grandoffspring—to be overweight. 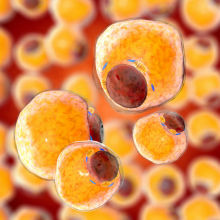 Obesogens, such as the extensively studied fungicide tributyltin (TBT), can act in a variety of ways to promote fat storage and adipose tissue production, often by disrupting hormonal signaling. 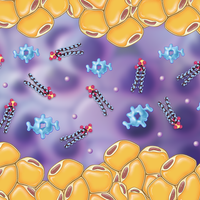 Such effects have been well documented in animal models and in human cell culture, but the impact of these compounds on people is still unclear. 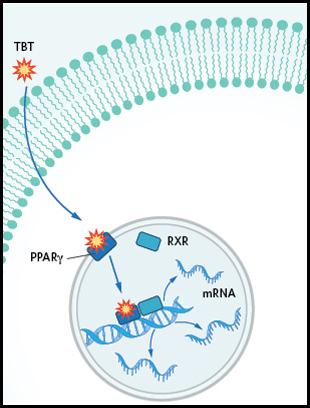 In fat precursor cells, TBT binds the nuclear receptor PPARγ, which forms a heterodimer with retinoid X receptor (RXR). 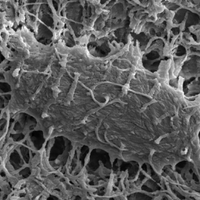 Their activation modulates the expression of numerous genes involved in fat cell production. 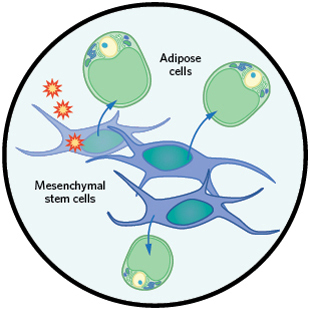 In mice exposed to TBT in utero, mesenchymal stem cells, which can differentiate into a number of cell types, are more likely to become adipose cells. 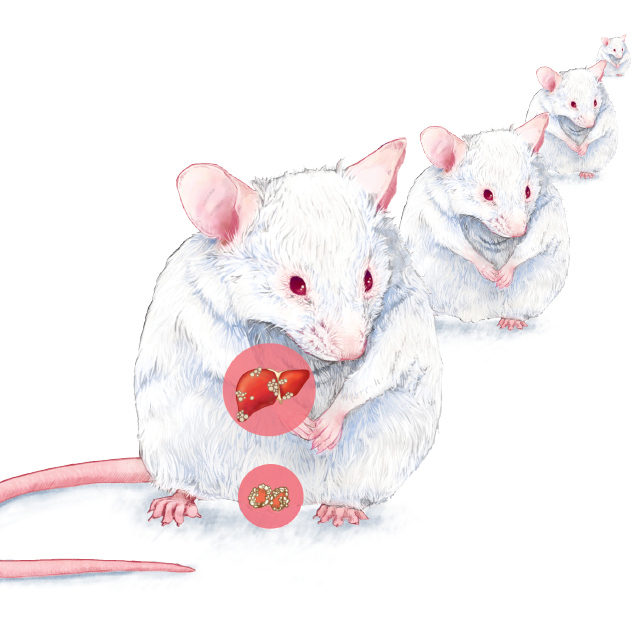 © LUCY CONKLINMice exposed to TBT end up with fat deposits in the liver and testis and greater fat mass throughout the body. 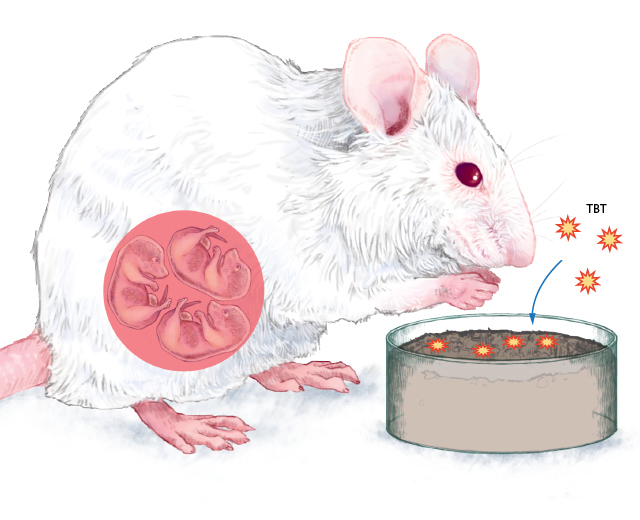 These effects can perpetuate through generations, presumably via epigenetic mechanisms.